Welcome to the website of HSSE Consult and Trading. HSSE Consult and Trading head office and base is in the Bloemfontein area in the Free Sate. Although this is our base we have a satelite office in Randburg which handles our Guateng projets. Although we are a newly formed company our pooled experience is over 15 years in the local and international markets. We excel in everything we do and our work is of the highest standard. We provide value to our customers and place a high priority on work ethics. HSSE Consult are always working to be at the forefront of Health and Safety solutions. We understand our clients specific needs and seek to make their health and safety requirements influential within their decision making process. 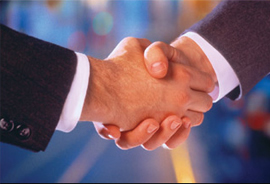 We undertake our working relationship with clients through the business solution of Advice, Consulting and Training. Therefore our task is to ensure that information is transformed into knowledge, to enable plans to be implemented that are compliant with health and safety requirements.